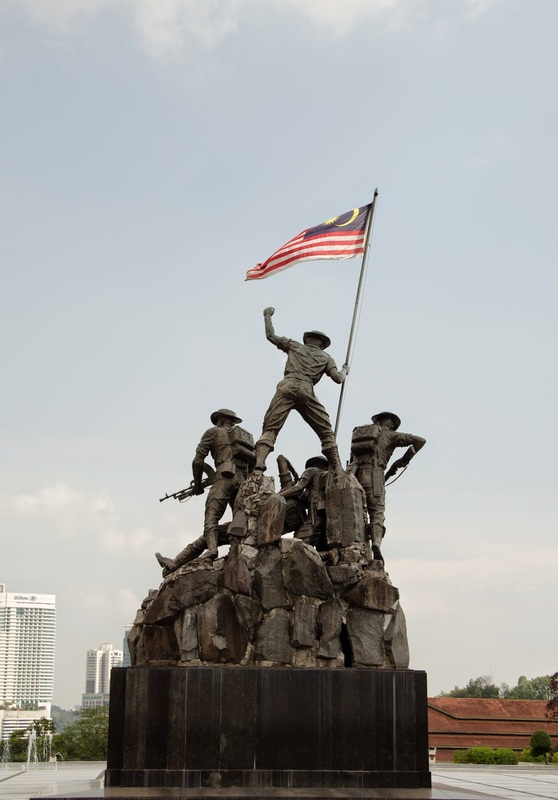 The last (and only) time I visited the Tugu Negara (National Monument) was when I was brought there on a school bus. I remember my mum packing me sandwiches for this school excursion. Details of its history was not clear, but the message was clear: men suffered and died for the peace you enjoy in this country. It left an impression in me that 'we made it'. We have managed to pull through certain adversities to get us where we are today. When I decided to visit it again recently, I was surprised to realize that as you approach it from the main entrance, you are greeted by the back of the Tugu. You would have to walk around it in order to face it. I was taken aback by this approach, and the experience made me think of how I feel about living in this country today. I made a few shots from this angle that was eventually used as the exhibition image for my previous solo at Silverlens@Gillman Barracks, Singapore.